Custom table banners can turn a simple folding event table into a show stopper in seconds. 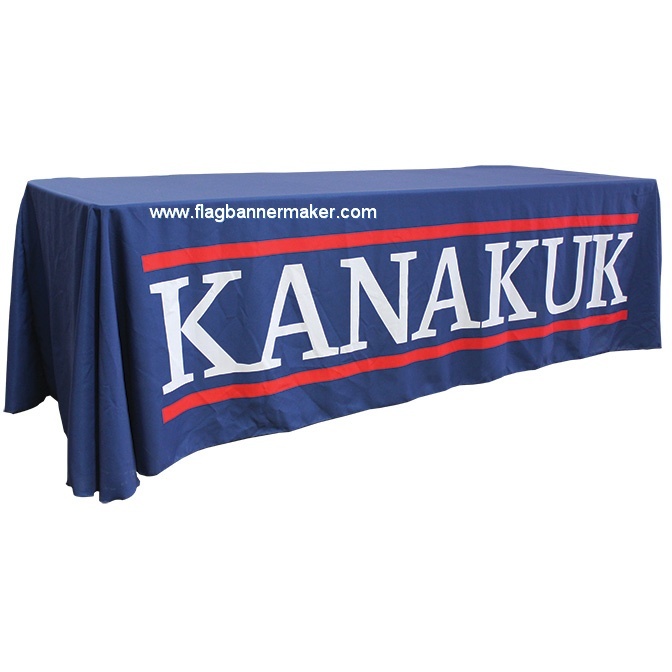 Full color printed polyester table covers add instant impact to any display. Simply drape over the table and your ready to go. This custom table cover is printed in house to ensure high quality results as we use vibrant inks and the latest printing equipment.